Title of the work: Tiento. Commission: Tiroler Festspiele Erl, Austria. Instrumentation: violoncello & electronics (stereo). World premiere: Milan, Padiglione d’Arte Contemporanea, 30.4.2004, Teresa Felici (violoncello). Tiento (2004), version for cello and electronics. “When I’ve finished a composition, although I might feel satisfied with the result, I don’t always consider that its creative process is completely exhausted once the score has been written out. So sometimes I feel like having some more fun by going through it again to see if I can find any more potential for expression.” Thus Torres Maldonado on his attitude to his work and what he does with it. Tiento (2004) for cello and (optional) electronics grew out of an expansion of the music and techniques from the interlude Fantasía que tañeba el ángel, which is actually the fifth movement of another work by Torres Maldonado entitled Luz and also heard on the present recording. The inspiration behind the sound of Tiento is that of the lute, vihuela and guitar, just as the nature of this piece is inspired by the meaning of this Spanish term, i.e. a sort of free improvisation in vogue during the Renaissance and more widely known by the Italian name “ricercare”. 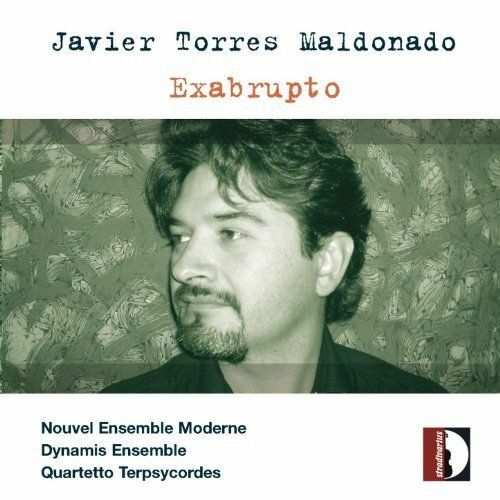 And so Torres Maldonado’s composition sounds much like an improvisation with its exploration of virtuoso pizzicato techniques. The result however is a wholly new slant on the polyphony, tone colour and percussive effects which the cello is capable of producing. The electronics process these ideas and develop them into echoes, anticipations and dialogues with the real instrument itself.